It’s a manly urge that none of us can control. The urge to create, to build, to justify buying tools…it runs deep within our manly souls. Pair that urge with our deeply rooted desire to play with fire and you’ve got enough motivation to build a cooking vessel such as a smoker. As you can plainly see from our website, we are primarily grilling guys. Don’t know if you know this or not, but there is a HUGE difference between grilling and smoking. 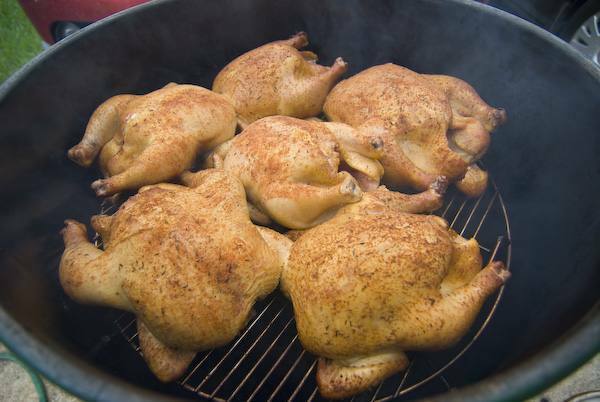 Sure, you can smoke on a gas grill, but true “slow and low” barbecue normally is done in a smoker where you can smoke something at a constant 200 – 250 degrees for a long period of time. It’s hard to beat a dedicated smoker, especially one built with your own hands! There are many brands of smokers on the market. I am sure there are some great ones out there, but the truly great smokers, ones that hold temperatures well with little fuss, cost a lot of money. There in lies one of the main reasons I have never really gotten into smoking (meat, that is). You see, if I bought a $1000 smoker, it better work well as a stove and fireplace because my wife would make me sleep outside with it. The other reason I never really got into smoking is because it was always too much work. I tried cheap smokers in the past and I spent hours in the yard trying to maintain a temperature. It was WAY too stressful. Is That a Trash Can? The turning point in my barbecue life thus far was a party we were invited to at my friend Trey’s house. The smell of barbecue that hit us as we walked up to the house was enough to wash away all of the ill will I had toward smokers and make me want to create some true, slow and low barbeque. As we got a little closer to the house, we realized our barbecue was being cooked in what looked like a trash can! Trey informed me that what I was looking at was referred to as an Ugly Drum Smoker or a UDS (makes it sound less redneck). 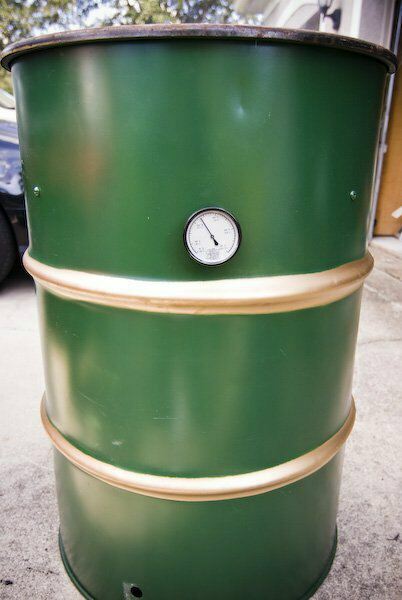 Built from a well, ugly drum, these smokers actually turn out to be very effective at holding temps. Once I sampled the BBQ and got a closer look, the ugly drum started to appear beautiful to me through my BBQ-loving, tool collecting eyes. I left that party knowing I NEEDED to build one of these things. Coincidentally, this photo was taken before Trey, being the true ‘Tide fan he is, painted his smoker Alabama colors. It’s no longer this “ugly”…. This brings me to last weekend, standing in the back yard watching a raging fire, clutching a garden hose and praying that the grass wasn’t too dry and the neighbors didn’t call the fire department. 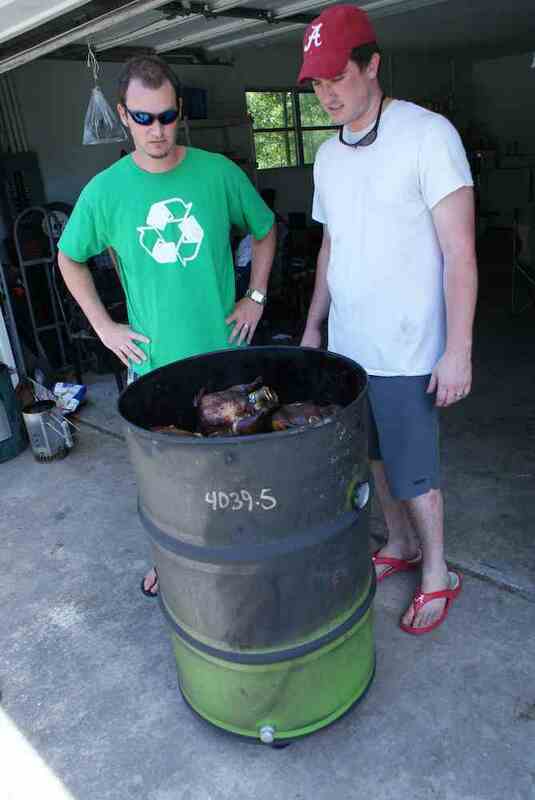 Once Trey found out I wanted to build an UDS, he was nice enough to find me a barrel on Craigslist. $8 cash and I had my cooking vessel. The only thing left was to clean it by fire, hence the inferno in the backyard. But wait, is it really worth the effort to build one of these things? But Is It Really a Good Smoker? Controlling air flow is of utmost importance when choosing or building a smoker. If you do not have precise control of the air flowing into the smoker, you will be chasing temperatures around all day. That’s what makes these ugly drum smokers so great. Since it is such a closed system, you can control the air flowing into the smoker just by adjusting the bottom vent holes. The more air allowed into the smoker, the hotter it will get. 300 – 325 degrees is about the max, anything above that and you are grilling anyway. 1 inch Step drill bit for drilling holes in metal. This could be the most expensive part of the project, so check around and/or order online. I was able to get one from Harbor Freight for $13, but Lowe’s had them for $30! 3/4 inch brass ball valve, to control the air flow more precisely. It’s optional when you are starting out, you can control air flow with as little as a refrigerator magnet partially covering the hole. Ok, let’s get to work. First, we need to drill our 3/4 inch ventilation holes at the bottom of the drum. To find the right spacing for the holes, wrap a string around the outside of the barrel to measure the circumference. Now lay the string flat and measure to find the circumference. For example, my 55 gallon drum has a circumference of about 69.5 inches. Divide your circumference by 3 and mark the string at each of those intervals (23.17″ in my case). 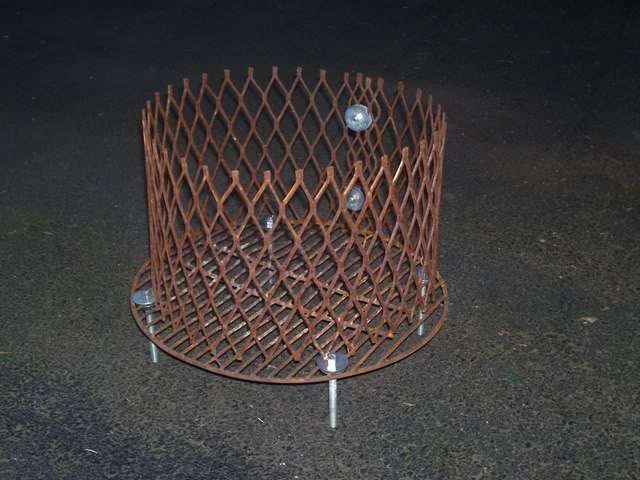 Drill each hole at that distance and 3″ above the base of the drum. If present, remove the seal around the inside lip of the lid. It should be a rubber gasket and can be easily peeled off after starting it with a flat head screw driver. Now that your holes are drilled, burn that baby to clean it out! Now we want to mount our grate about 7 inches below the top of the drum to leave room for larger cuts of meat. Using our same circumference string, divide it in 4 this time and drill holes for your 1/4 inch bolts at that interval (again, 17.38″ for my drum with a 69.5″ circumference). In each hole, install the bolt from the outside, place a lock washer on the inside of the bolt and tighten on a nut. This will make a nice platform for your grate. Oh, one more thing. 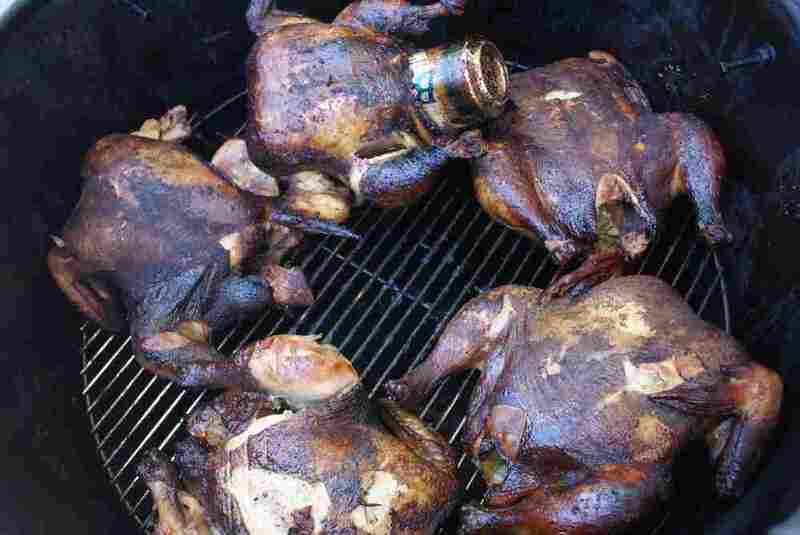 Don’t let the “ugly” in the ugly drum smoker stop you from getting creative! 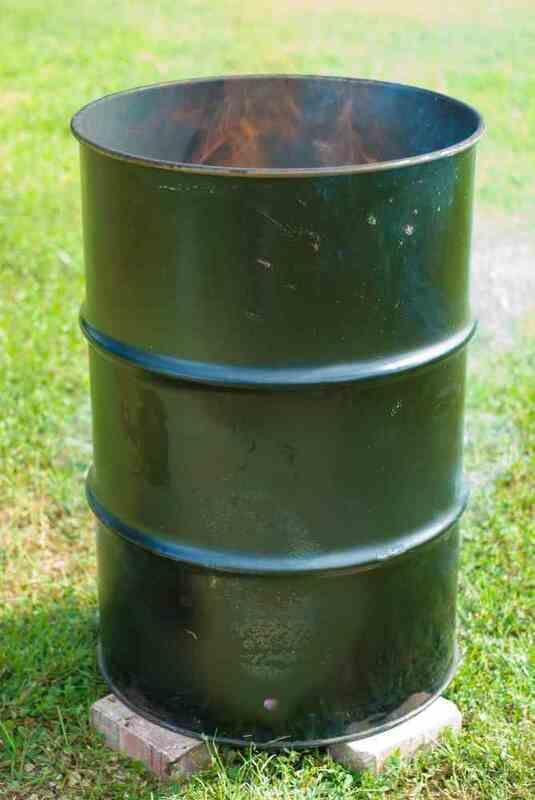 I would say my ugly drum smoker isn’t that ugly these days. Here she is representing the University of South Florida, GO BULLS! Now that is what I call the true red neck smoker. I think I am going to build one. Mine however will be painted in Steeler colors and there will be 6 super bowl trophies painted on it. I will take a picture of it and mail it to New England Patriots headquarters. Thanks for the SUPER idea.